Macquarie is a global financial services provider with offices in 28 countries. 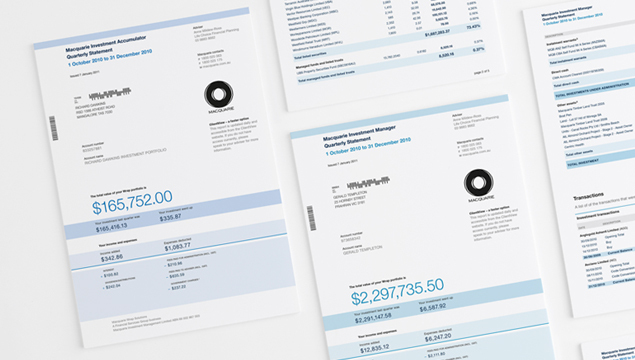 We used our financial communications expertise to deliver user-focussed statement designs for their superannuation products, cash management accounts and a new range of savings and offset bank accounts. 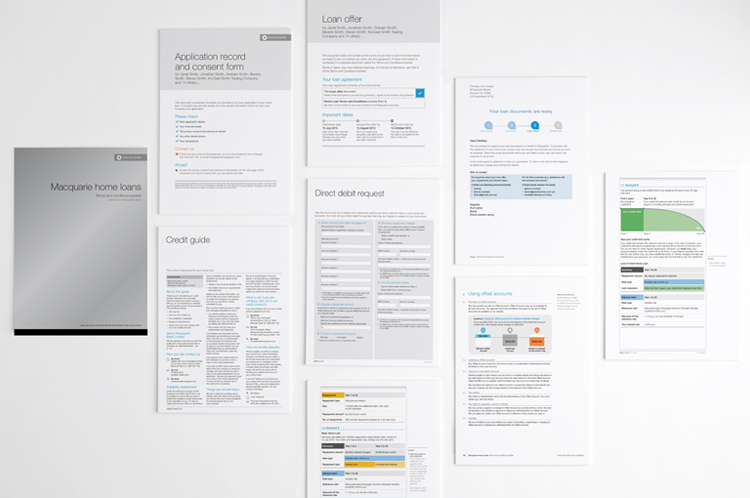 Working closely with Macquarie’s brilliant team, we’ve also recently completed a suite of documents for their mortgage documentation, which make the usually complex process a little easier to understand and follow. 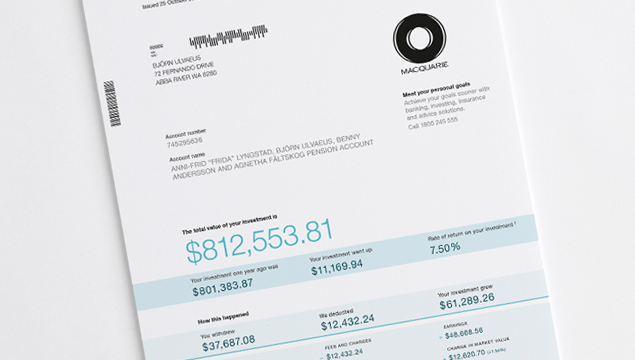 The new designs go a long way towards strengthening Macquarie’s communications to customers in the competitive retail banking space. These designs were awarded Bronze in the 2017 International Institute of Information Design Awards. Visit awards site.